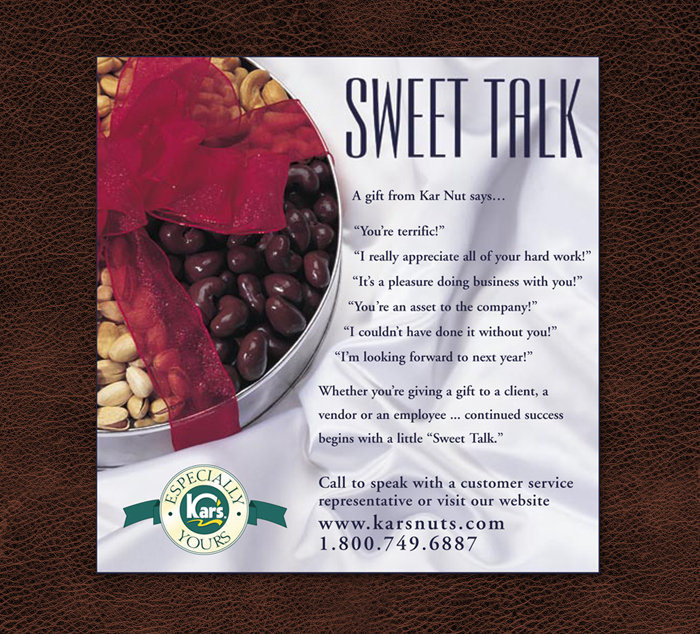 Kar's Nuts: Open House Invitation (MarCom Awards Honorable Mention) - Brief: Invitation and support materials for open house at Kar's Nuts new location. NOTE: The theme is reminiscent of Kar's history. In the 1930's, Kar's sold peanuts at Tiger Stadium. Prints spot metallic copper, violet and teal on cream stock. 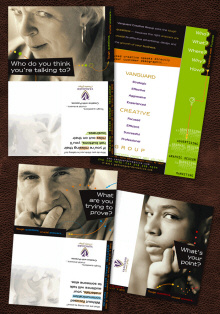 Received MarCom Creative Awards: honorable mention. Though the client distributes various products to delis and restaurants as a service, UMD manufactures premium quality meats. 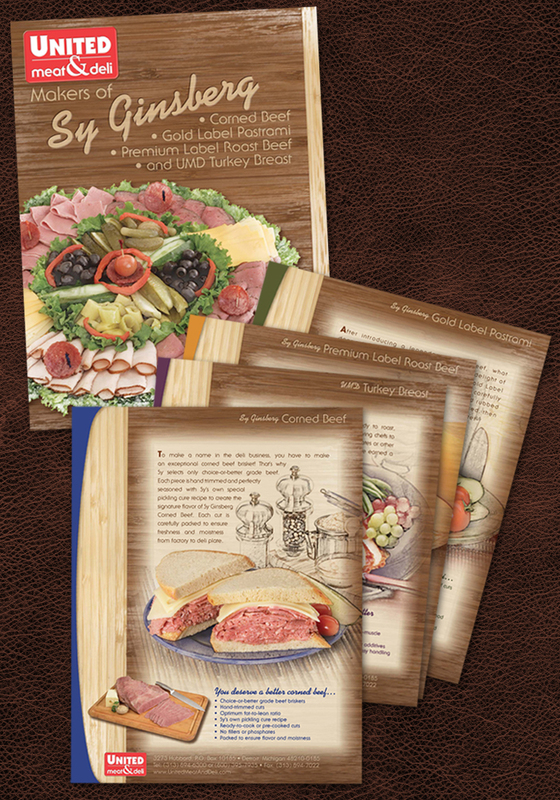 The illustrative technique creates a deli feel yet highlights the product itself. 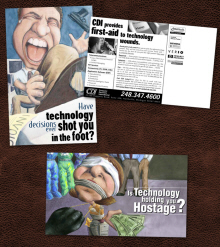 CHALLENGE: create fun, exciting, menus, customized for each location. SOLUTION: Binder style with tabs and removeable pages. 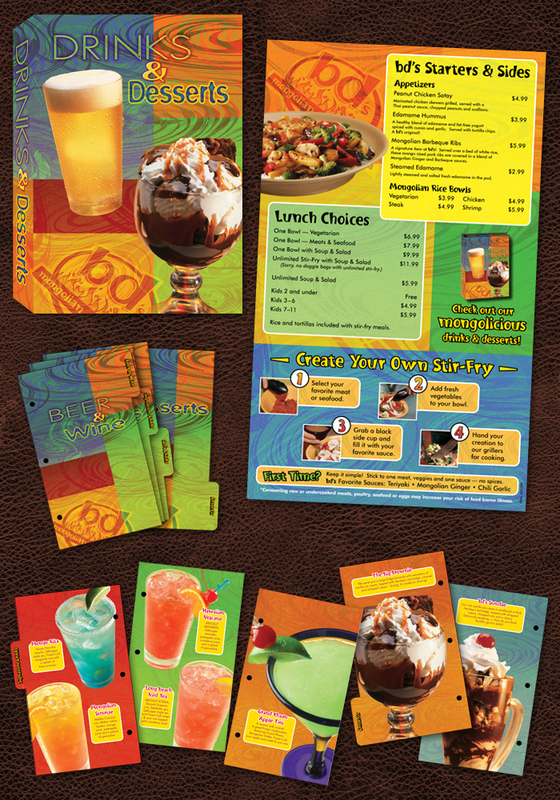 Master print run of food menus, imprinted to create custom info. 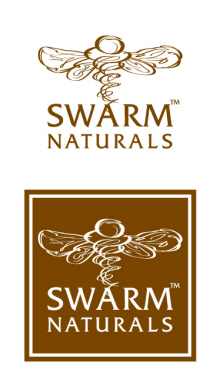 RESULTS: coohesive brand across 25+ locations. Client loved the colorful design. 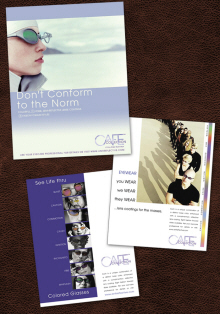 Tabs and imprinting provided economical solution without compromising design/quality. 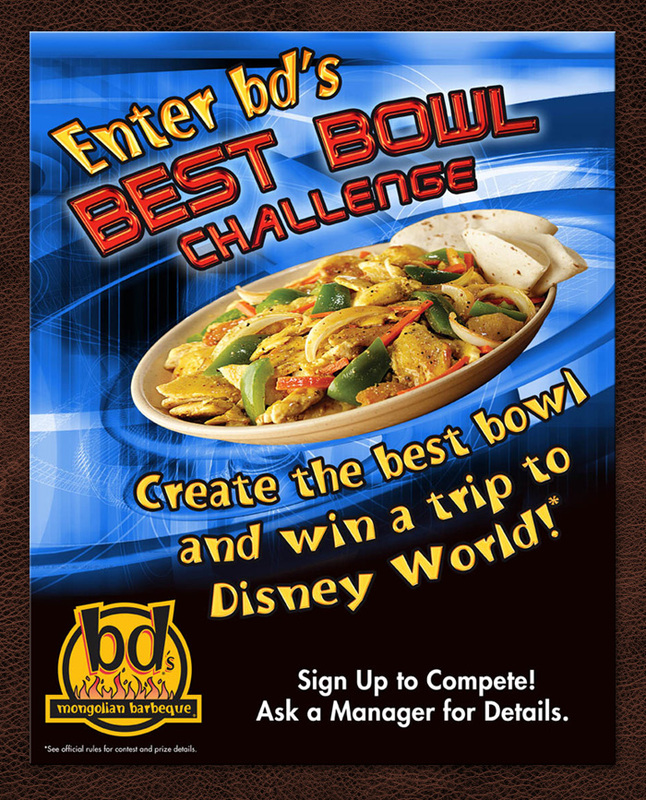 bd's "Best Bowl" Contest Poster - bd's held the "Best Bowl" challenge in early February to harness and capitalize upon excitement generated around the NFL "Super Bowl." Variety Pack caddy for warehouse club distribution. 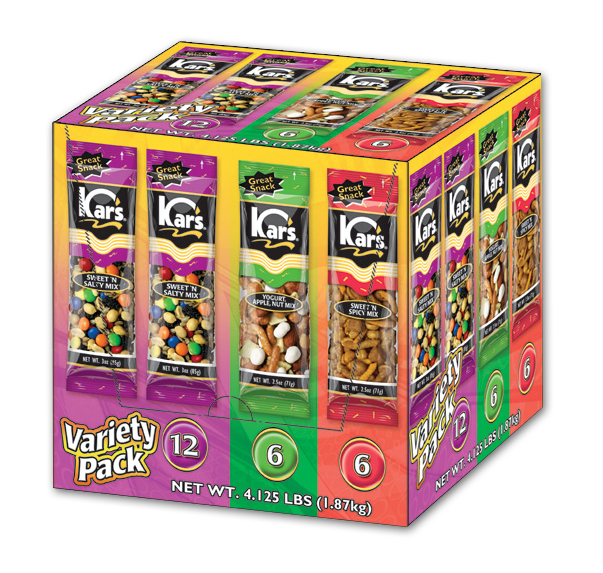 *Also developed complete packaging design and standards for Kar's product line, including items shown. 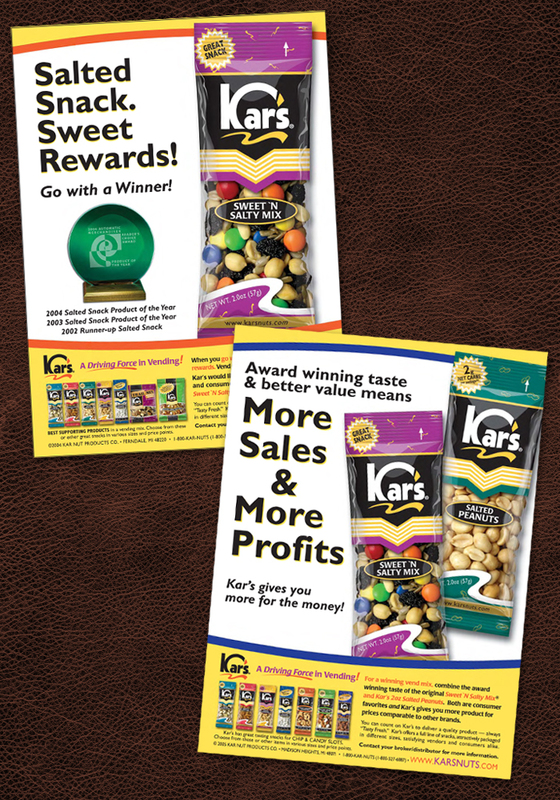 Vending accounts for over half of sales for Kar Nut Products. 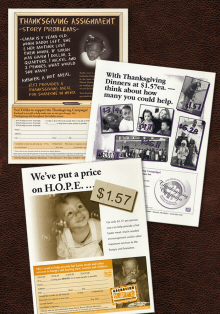 This campaign rated higher than other national competitors in consecutive Automatic Merchandiser Magazine readership surveys. 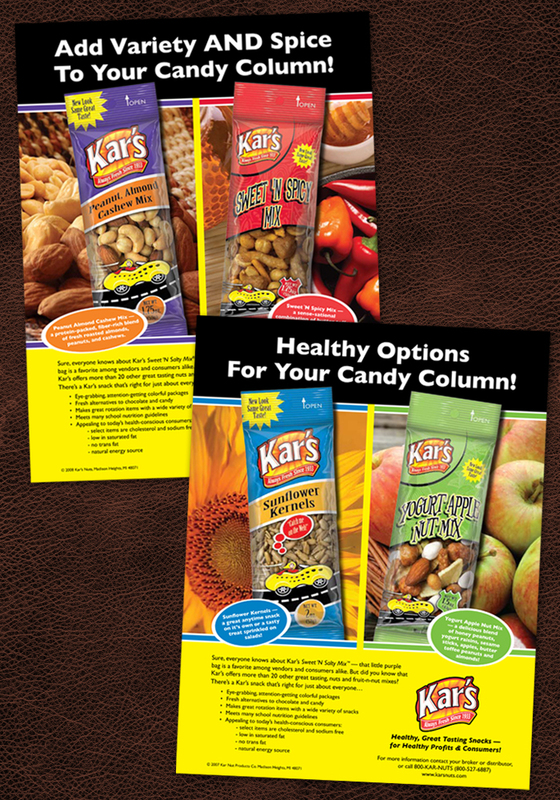 * Also designed entire packaging line for Kar's as well as multiple POP and collateral materials. 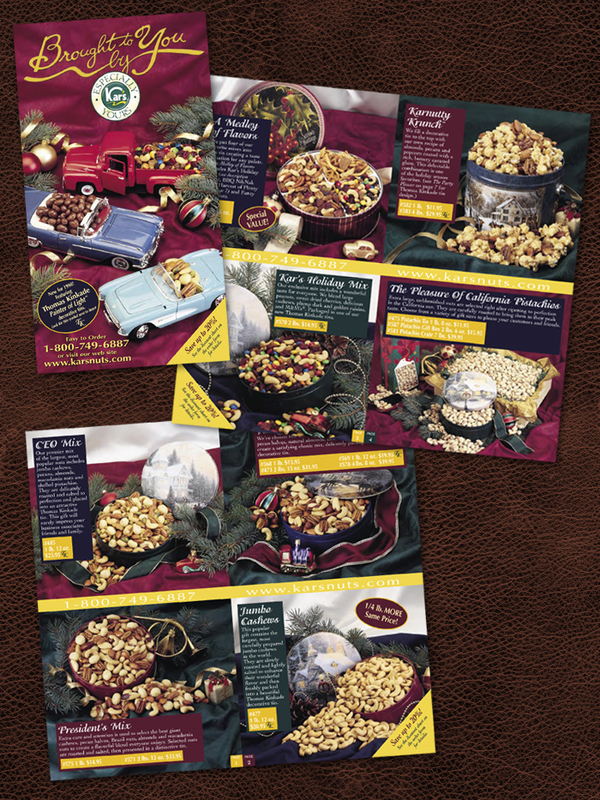 Cover and sample spreads of holiday corporate gift catalog. 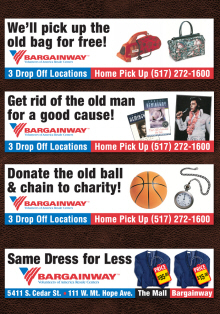 Crain's ad to generate interest in holiday corporate gift catalog.